Open letter to US President Barack Obama supports his stance on the deal ahead of expected Congressional showdown. More than 100 former American ambassadors expressed their support for the agreement with Iran over the weekend, sending a letter to US President Barack Obama before the expected Congressional showdown over the deal. The letter was signed among others, by several former US ambassadors to Israel, including Dan Kurtzer, Thomas Pickering, Edward Walker and James Cunningham. The letter was issued under the name of a new organization set up to support the deal named The Iranian Project. In it, the former ambassadors wrote that "if the agreement is to be applied properly, it can become an effective tool to stop the Iranian nuclear program and the prevention of nuclear proliferation in the Middle East." While they note that the deal is not perfect and has not fully addressed the problem, but add that the risk to the US and its allies would be much larger without one. They encourage the US Congress to vote for the removal of the sanctions imposed by the US on Iran, to allow an agreement to be executed. The move follows after vocal responses from some American lawmakers, particularly Republicans, who have expressed their objection to the Iran deal. A Republican Senator in the Senate Foreign Relations Committee made clear last week that American legislators are considering imposing further sanctions on Iran, despite the agreement. 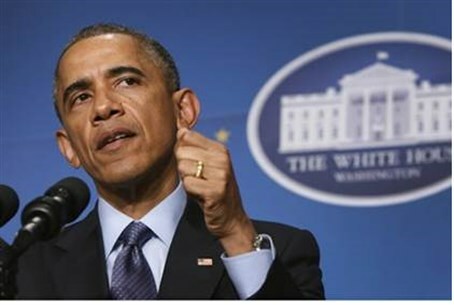 President Barack Obama, however, has threatened recently to "veto any legislation" passed by Congress blocking the deal. A law signed by Obama in May gives Congress the power to review and potentially reject a nuclear deal with Iran, but in spite of his willingness to allow Congress to debate the agreement, Obama has asserted it would be "irresponsible" to object to the deal.